Yesterday, the Joint Finance Committee finalized their budget cuts to close the deficit. To do so, they cut ALL grant in aid funding to nonprofits. And then there is the cuts to education. One thing that people do not understand is that the JFC is required both by statute and by constitutional directive to craft a balanced budget with currently available revenue streams. It cannot assume new revenue into their calculations. So all these cuts are being made because Republicans are refusing to pass new income tax brackets on the wealthy and other personal income tax changes. So for once Speaker Schwartzkopf is right. If you are upset by these cuts, call a Republican. But Democrats are in charge of Dover, so why can’t we blame Democrats, scream low information voters, Fox News viewers and far leftists!?! Because any bill raising new revenues or increasing taxes requires a 3/5th vote in both Houses of the General Assembly. We have those numbers in the House with 25 Democrats. We need 13 Senators in the Senate to reach that majority. We only have 11. We need 2 Republican Senators. But Republicans are refusing to budge because they haven’t gotten everything they wanted yet. They got everything but ending prevailing wage. So the hill that the GOP is choosing to die on is a demand to make working families poorer all the while they protect their wealthy donor’s inheritance. Like I said yesterday, shoot the hostage. Shut down the government. Make the GOP defend their attack on working families. All summer long. Make the GOP defend their cuts to social services and nonprofits while they protect tax cuts for the wealthy. 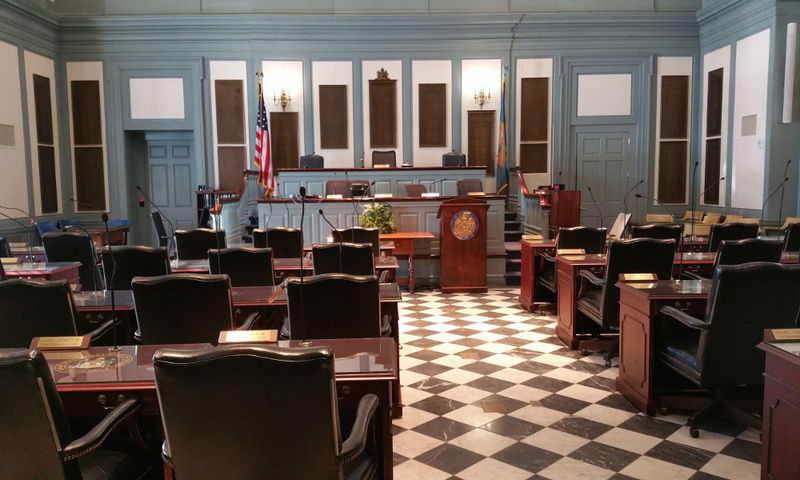 Will the JFC budget pass? My sources in the General Assembly, including members themselves, have no idea. Some members have no idea how they will vote. My advice: vote no. Have votes on HB240 and HB109 and the Alcohol and Vaping Taxes. “House Amendment 1 to HB 240 (view here) cuts all tax increases below $25,000 a year. Tax rates for people in those brackets will remain untouched, as will their ability to claim the standard deduction that 63% of Delawareans (mainly those in lower brackets) claim. The bill also allows for 50% of claimed itemizations to be deducted from gross income. We will all still be able to deduct the full amount from federal, which has a much higher return than the state. So, all mortgage interest, charitable donations, medical expenses, everything, will still be able to be itemized at the federal level, and people will receive the full benefit there. However, on the state level, people will only be credited at half the rate. This will not affect low- or even moderate-income families because they are part of the 63% who claim the standard deduction. However, it will ensure that people living in mini-mansions with beach homes, and individuals making six or seven figures per year, will still have to pay something in state taxes. (They won’t get to write off their entire liability). Also, this entices people in upper-income levels to donate more money to charity, to offset the itemizations cut, and still retain the benefit to which they have become accustomed. The Cape Gazzette says raise taxes: “In the 1990s, the highest income tax bracket paid 19.9%. That pendulum clearly had swung too far. Legislators responded by cutting income taxes several times. Now the highest bracket tax rate is 6.6%. Delaware also cut its spending significantly – including reducing employee ranks by 1,000 – and leaned ever harder on out-of-state revenues. Now, more than 40% of our annual budget revenues come from corporate taxes, franchise fees and other funds from outside our borders. Meanwhile, state waters remain embarrassingly polluted, jeopardizing our tourist economy; ranks of correctional and other enforcement officers are dangerously thin and underpaid; tight state police budgets in an unprecedented opioid-abuse epidemic threaten our security; and job-training super force Delaware Tech suffers from crumbling infrastructure. Our needs are great. Even with minor income tax increases, millions more in cuts will have to be made. That’s where further compromises will come. We also need to pass House Bill 110 the Delaware Marijuana Control Act regulates and taxes marijuana in the same manner as alcohol. It allows adults over the age of 21 to legally possess and consume under 1 ounce of marijuana for personal use. It does not permit people to grow their own marijuana. HB 110 will give the state income it desperately needs and take the income away from the criminals who are corrupting our society. If the Democrats cannot dig their heals in and demand these two bills are past to make significant inroads into balancing the budget with cost cutting then we have the wrong Dems in office. Why can the Republicans set a line they will not cross and prevail and the Dems not even set the line much less worrying about if they will win. You do not win if you do not try and have the XXXXX to stick to your guns.